Our Michigan dog bite injury lawyers handle cases involving dog bites and attacks throughout the state of Michigan. Dog bite attacks can be a very traumatic and frightening experience for anyone to have to go through. The injuries sustained from a dog bite can be considerable. They may include broken bones, scarring, deformities, serious lacerations, permanent nerve damage, and even death. Many may also suffer psychological and emotional distress, well after the dog bite attack incident occurred. Victims of a dog bite attack do have the right to file a lawsuit in Michigan against the owner of the aggressive dog. A lawsuit for a Michigan dog bite must be filed with the court, unless the insurance company settles the claim sooner. Once the lawsuit is filed, a claim for damages and losses is made and proof of the dog bite attack injury is documented through medical records, medical bills, photographs, and any witnesses that were at the scene of the attack. Many dog bite attack lawsuits are settled out of court because there are very few legitimate defenses to a dog bite case. 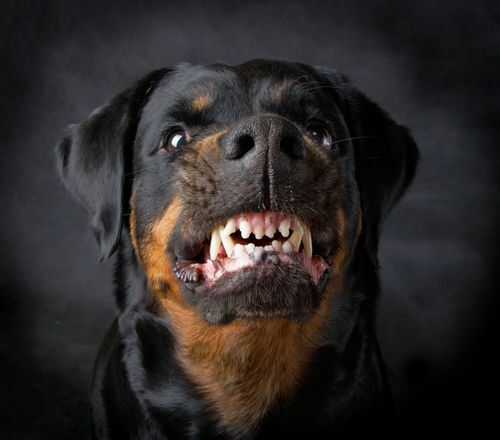 Our dog bite injury lawyers have attained substantial Michigan dog bite lawsuit settlements for victims of dog bite attacks. Many of these cases involved children and small infants who have suffered significant injuries in those attacks. Listed below are some the settlements we have won. $485,000 - Settlement for a two year old girl who was viciously attacked by a dog that ran through a hole in a fence while she was playing at a public park. She suffered severe lacerations to her face and required revision surgery. Future revisions will be necessary. $475,000 - Settlement for a Macomb County woman who was attacked by a neighbor's pitbull. The dog escaped from the owner's yard and bit her on the arm. She suffered significant scaring and and post-traumatic stress disorder as a result of the attack. $225,000 - Settlement in Warren, Michigan for a young girl who was bitten in the face by a neighbor's dog. She had significant scars and required surgery. $175,000 - Settlement for a 44 year old woman who was attacked in her backyard by two dogs owned by her neighbor. She suffered scars to her upper arm and back and suffered nerve damage to her arm. $175,000 - Settlement for a 9 year old girl who was bitten on the face in Ypsilanti by a pitbull being walked by the friend of the owner. Our Michigan dog bite lawyers will represent you in your Michigan dog bite lawsuit case under our NO FEE PROMISE. This means that you will not be charged any legal fees whatsoever, unless we obtain a settlement or recovery for you. You have absolutely no obligation for legal fees unless we win your case. If we do not obtain a settlement for you, you owe us nothing! Our experienced Michigan dog bite lawyers will hire specialized investigators to document the incident, supplementing any evidence you have been able to collect for your Michigan dog bite lawsuit. For more information on your legal rights after a dog bite injury, call us now at (800) 606-1717 to speak with one of our experienced Michigan dog bite lawyers about your case, or simply submit this contact form and we will get back to you quickly.